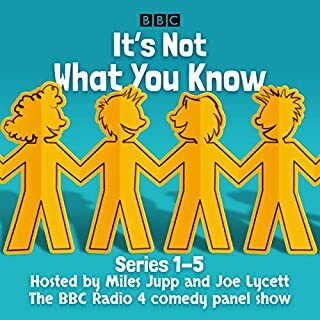 Four more extended episodes from the award-winning BBC Radio 4 series specially compiled by producer Jon Naismith This fourteenth collection of the antidote to panel games finds Jack Dee giving regular panellists Tim Brooke-Taylor, Barry Cryer and Graeme Garden silly things to do - along with special guests Jeremy Hardy, David Mitchell, Marcus Brigstocke and Rob Brydon. Highlights include Sound Charades, Whose Duck Are You? Four more extended episodes from the award-winning BBC Radio 4 series, specially compiled by producer Jon Naismith. 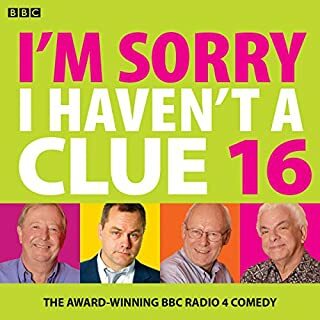 The antidote to panel games returns with this 16th glorious collection, in which Jack Dee gives regular panelists Tim Brooke-Taylor, Barry Cryer and Graeme Garden silly things to do. 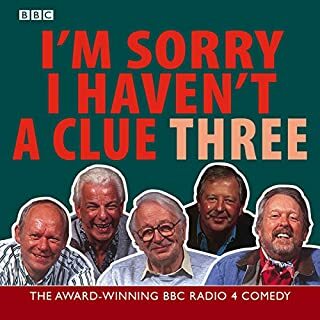 Joining them in this compilation are special guests Rob Brydon, Victoria Wood, Susan Calman and David Mitchell. Welcome to the 17th collection of episodes from the famous antidote to panel games. 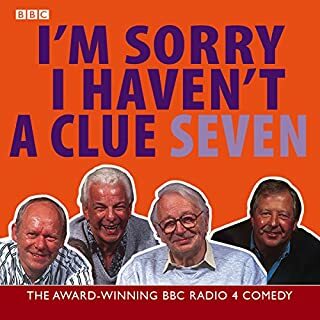 Jack Dee challenges regular panelists Tim Brooke-Taylor, Barry Cryer and Graeme Garden with a series of silly games against which to pit their wits, along with special guests Harry Hill, Sandi Toksvig, Omid Djalili and Miles Jupp. 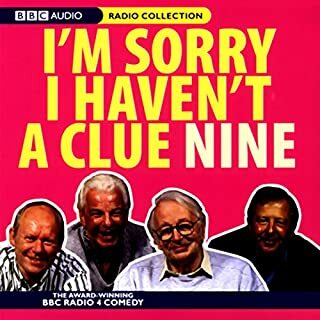 Highlights include Word for Word, Alien Duets, Swanee Kazoo, Meat Eater’s Songbook, In My Pants, Mornington Crescent, Not My Fault, Pig Farmer’s Songbook, Specialist Greetings Cards, Unsuccessful Charities, Dentists’ Film Club and the ever-popular One Song to the Tune of Another. 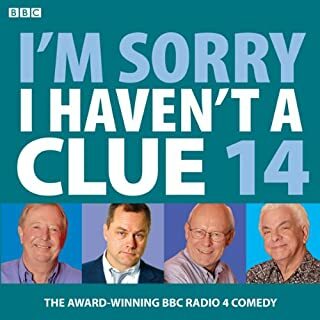 Here are four more compilations of the funniest puns, songs and one-liners from the award-winning BBC Radio 4 series. 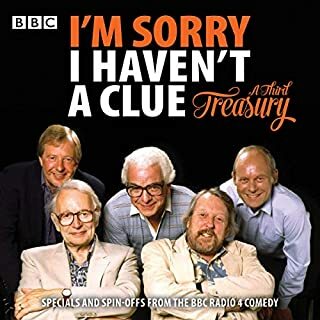 And this will be the last Clue release to feature Humphrey Lyttelton as host as he presides over regulars Tim Brooke-Taylor, Barry Cryer, and Graeme Garden. 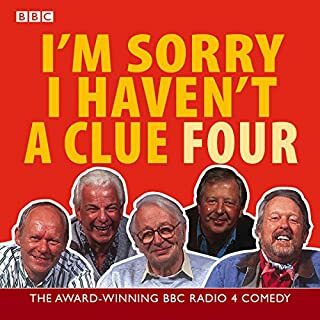 Often imitated but never bettered, I'm Sorry I Haven't a Clue is the only authentic antidote to panel games. Yes, it's time for another helping of the antidote to panel games, I'm Sorry I Haven't a Clue, featuring inspired nonsense and pointless revelry. 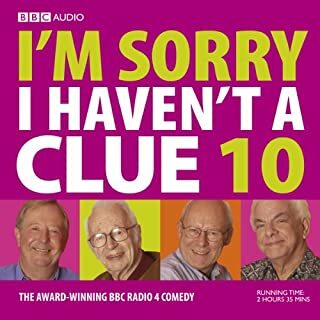 Here are four compilations from the hugely popular and award-winning BBC Radio 4 series. From the annals of wartime Britain come four brilliantly funny episodes with Captain Mainwaring's Home Guard, ever ready to strike terror into the heart of the Wehrmacht from their unit in Walmington-on-Sea. Two specially extended editions featuring all the bits you didn't hear on transmission! 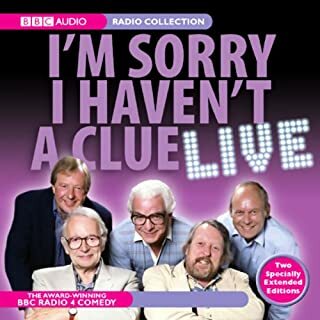 If you've ever wondered what it's like to attend a live recording of I'm Sorry I Haven't a Clue, the antidote to panel games, now is your chance to discover how much fun they are! 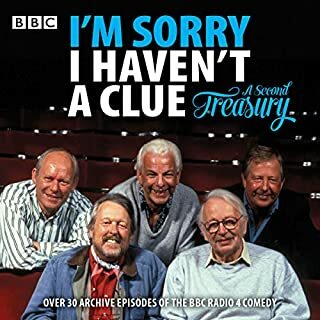 These two extended editions of the programme, from 1995 and 1996, offer an exclusive glimpse behind the scenes, in the company of players Graeme Garden, Barry Cryer, Tim Brooke-Taylor, Willie Rushton, and Jeremy Hardy. Four more extended episodes from the award-winning BBC Radio 4 series specially compiled by producer Jon Naismith. 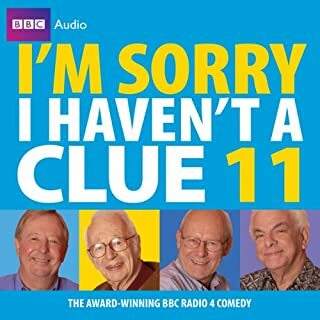 This 13th collection of the antidote to panel games finds Jack Dee giving regular panellists Tim Brooke-Taylor, Barry Cryer, and Graeme Garden silly things to do - along with special guests Jeremy Hardy, Sandi Toksvig, Rob Brydon, and David Mitchell. Highlights include ‘Uxbridge English Dictionary’, ‘One Song to the Tune of Another’, ‘Sound Charades’, ‘Historical Voicemail’, ‘Bankers’ Film Club’, ‘Sound Effects Storytime’, ‘Party Guests’, ‘84 Chicken Cross Road’, ‘Trail of the Lonesome Pun’, ‘Greetings Cards’, ‘Unseen Prequels’ and, of course, ‘Mornington Crescent’. 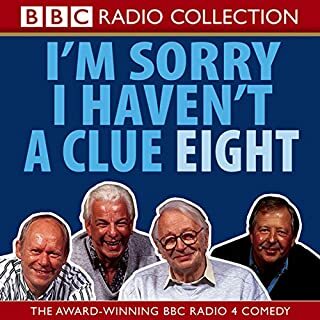 So get ready to laugh out loud as the gang indulge in more wonderful wordplay, accompanied by Colin Sell on the piano and the lovely Samantha, who’s always ready for a quick score. 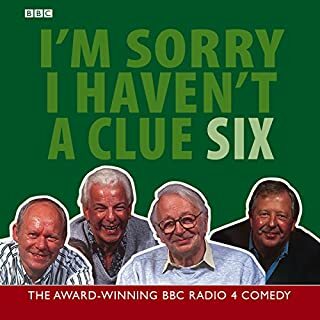 Wow, I wish I had listened to the series when it was broadcasted, I keep rewinding this as I love the laughs and the way they deliver their own enjoyment of this programme. 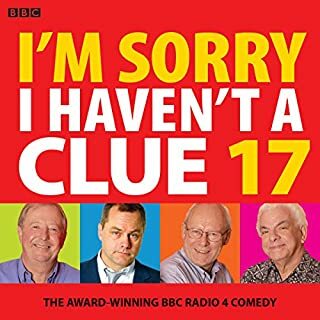 Jack Dee is so dry and the perfect host to this series. I will definately be downloading other episodes, as it really cheers me and makes my day. Even without Humph, it's still outstanding, laugh out loud comedy. Highly recommended. and to be re-played to catch the bus you don't get the first time. the acme (acne?) of radio comedy, never bettered. I want to remember all of it but I can't. that means I can listen again! As daft as ever ! Good fun listening, and learning ! 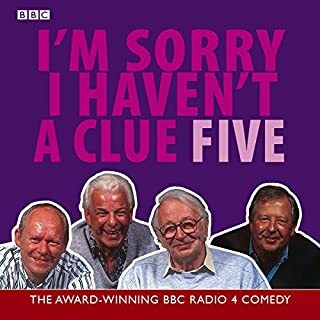 It has been years since I listened to radio 4, and a lot has changed. 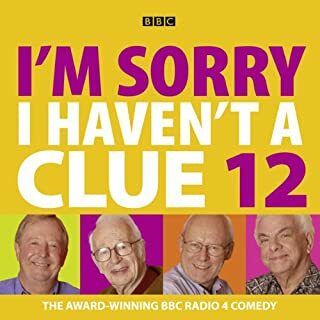 Well, not a book, and if you haven't heard the radio show then you won't know what to expect so try sampling some clips from the BBC website and then rush back here to buy as many of these compilations as possible. Never fail to make me laugh out loud.